Light Therapy, does it work? Light therapy also known as bright light therapy or phototherapy has been successfully practiced for more than a decade to treat seasonal affective disorder or depression that often occurs in the winter months. Studies have shown that a light box can also help treat year-round major depression. 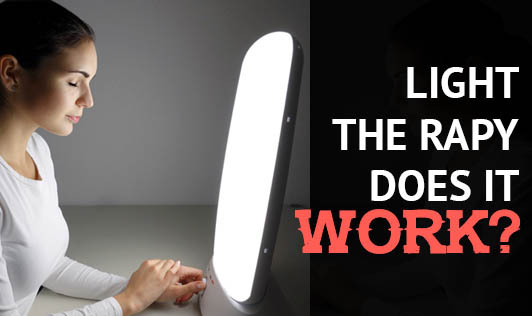 During light therapy, one sits or works near a device called a light therapy box which gives off bright light that mimics natural outdoor light. The light is thought to affect brain chemicals linked to mood easing out Seasonal affective disorder symptoms. This therapy may also help with other types of depression and sleep disorders. What are the risks associated with Light Therapy? It's important to talk to a doctor before starting light therapy to avoid any complications!